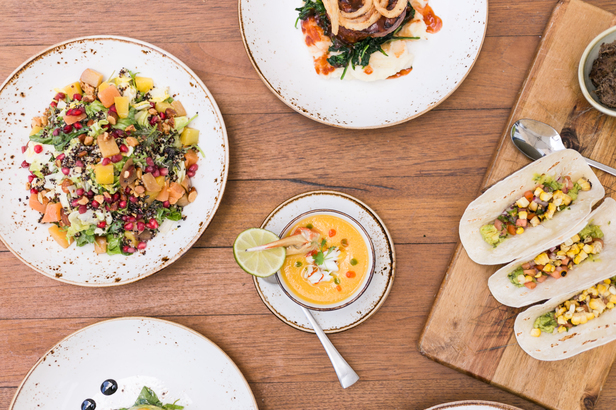 All across the greater Miami area, connoisseurs of fine cuisine are celebrating another spectacular season of Miami Spice, as hundreds of exclusive restaurants offer special three-course, prix fixe lunch, dinner, and brunch deals. At Turnberry Isle Miami, we have not one, but two outstanding restaurants participating in this year’s festivities, which extend all the way through September 30. Visit Bourbon Steak and savor a mouth-watering Miami Spice dinner at this acclaimed Michael Mina steakhouse for just $39 Monday – Wednesday from 5:30-10 pm and Thursday-Sunday from 5:30-11 pm. At Corsair Kitchen and Bar, there’s even more to enjoy, with Miami Spice options, not only for dinner (6-10 pm daily,) but also for lunch and Saturday brunch (11:30 am-3 pm), at an unbelievable bargain of just $23. We’re also excited to announce that Stripsteak, our sister restaurant located in sunny Miami Beach, has joined the elite eateries of Miami Spice. One of the only steakhouses in the city that can rival our own, Stripsteak is serving its delicious three-course Miami Spice dinner Sunday - Thursday from 6-11 pm, and Friday and Saturday from 6 pm-12 am. At Turnberry Isle Miami, we believe that a meal is a ritual. Let us treat you to the finest dining experience you’ve ever had during Miami Spice 2018.